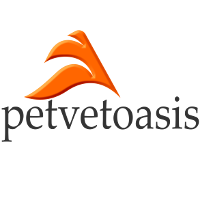 Injuries to paws in domestic pets are a lot more common than humans for several reasons. The obvious one is that most dogs and cats do not wear protective shoes. Shoes just don’t have to look good to be functional but a good pair of shoes will support the ankle and protect feet from getting cut up by a myriad of debris found all over the place. The second is just the way things are; people are bipedal, that is they stand on two feet. Arms and fingers can get injured but dogs walk on all fours exposing ALL 4 limbs to injury. Injuries to paws and lower limbs often frustrate veterinarians for one simple reason- dogs and cats are animals. They cannot reason like people. Humans are told to stay off the limb for a while or use some type of support boot. It takes time for the body to heal. Tell that to a dog or cat. I have had countless cases of pets ripping/chewing out entire suture lines making a primary injury even worse. Pain killers and anti-inflammatory drugs often mask underlining medical or surgical issues. The animal feels better then reinjure a lower limb problem- making the condition worse. WHAT COULD HAPPEN IN THAT AREA? Abscesses- Animals can easily step on something sharp that introduces bacteria into the wound. Abscessation is one of the most common causes of injuries to paws, particularly in cats. In cats, many abscesses are caused by bite wounds from other cats. Cat bites always get infected as their long canine teeth penetrate the flesh of the victim. Medical management with antibiotics is crucial. Many have to be surgically drained. Prevention: Keep pets inside and clean up anything in the yard that could penetrate an animal’s skin. Tumors- Although not an injury tumors on lower extremities can get infected and rupture from the inside out. Keep an eye out for even the smallest of growths in that area. Boxer dogs have a high incidence of mast cell tumors in their lower extremity areas. They are highly invasive tumors and need immediate surgical resection with histopathology. Prevention: If you notice any skin mass, no matter how small, have it examined by your veterinarian. Metacarpal and Metatarsal fractures- These fractures are to the wrist and hock joint respectively. Shoes help to stabilize the human foot from many types of these fractures. The anatomical position of the hind limb in pets is different. Humans walk with their heel (Achilles tendon attachment) on the ground. In pets the Achilles tendon attachment point is elevated exposing the hock joint to extreme forces such as car accidents and falling off decks or other similar objects. Every once in a while you will see a cat walk on its hocks. Many of these cats are diabetics! Prevention: These are very difficult to prevent. Many pets are active and love to exercise. If anything, always use a leash to prevent car accidents. Nail issues- Humans have nail problems but nothing like dogs. Dogs have two issues that cause problems. Dog nails need to be frequently trimmed so that the base of the flattened nail is at about the level of the lower edge of the pad. This prevents nails from getting caught on a carpet. When they do get caught animals panic and rip themselves free. This causes the nail to tear and separate from the body. It is very painful and can easily get infected. This problem is usually seen in tiny dogs that live inside on carpet. Many larger dogs keep their nails naturally filed down while walking on asphalt. 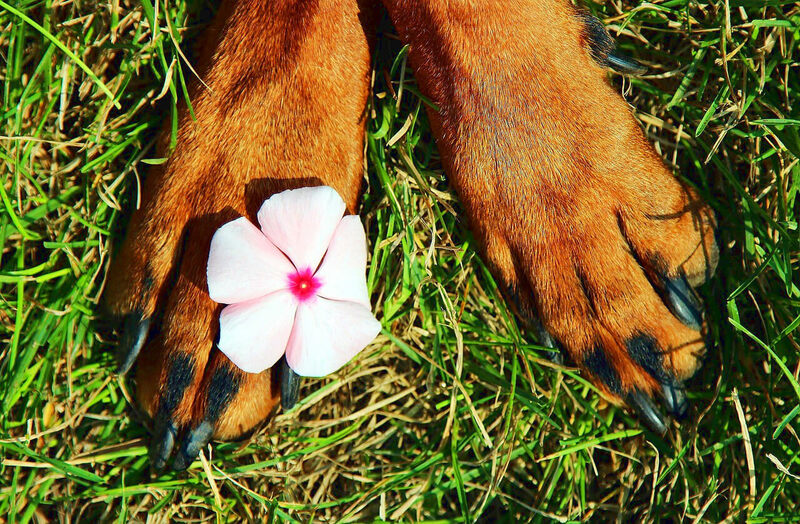 Injuries to paws can also be caused by an ingrown nail- usually the dewclaw. The dewclaw is elevated and pointed; since it can never be filed down naturally. As that nail grows it tends to grow towards the body. The tip of the nail penetrates the skin and it gets infected. This is extremely painful. The dewclaw can act as a hook and get caught on anything and everything. When torn during an injury, an artery right under the nail area is damaged and blood hemorrhaging is the result. THIS IS AN EMERGENCY! Prevention: Trim your pet’s nails frequently and trim off the dewclaw tip periodically. Chainlink Fence Issues- In the above picture of a chain link fence pay attention to the top part of the fencing bent back on itself. Those tapered ends often get impaled in the webbing of a dog’s paw area. In my early days of practice I had to have an owner use wire cutters to cut away enough fencing so the animal could be taken care of under a sedative. Prevention: If you employ chain link fencing walk around the perimeter frequently to check for any sharp or broken fencing. Cut off and repair as necessary. Glass Shards- Those colorful ice blue glass shards look beautiful as an art form but they can easily slice the pads or skin of any unsuspecting dog or cat. The majority of pad injuries like this are often repaired with surgical super glue and a wrap plus antibiotics. Prevention: Keep your pets from roaming. Periodically, stoop down to your pet’s level and see the world as your dog does. If you spot anything sharp or notice a broken bottle fix it or remove it! Cats and Stoves- What do those two items have in common? Cats are cats and stoves are stoves. Cats love to jump and can easily burn their pads alighting onto a hot burner element. This is extremely painful and can easily cause first or second-degree burns. Prevention: Do not leave anything cooking on a stove top alone if you own a cat. Tendons and Ligaments- Injuries to paws can happen when animals fall or over exert themselves. There are multiple tendons that cross over an animal’s wrist or hock joint. These then divide and connect to each digit. There are ligaments that travel each side of those joints. Both can become injured and cause lameness and pain. Prevention: This is difficult to do since animals do not wear sports wrapping or padding like humans do. A lot of tendon or ligament injuries to pets happen after repeated movement of a joint. Trying to time or figure out which one will cause an injury is impossible to do. If you notice any lameness or swelling have the pet examined by a veterinarian. They will usually take radiographs to rule out any fractures.